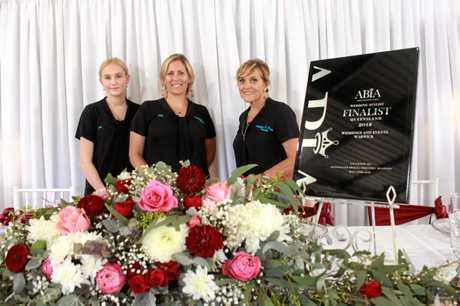 BIGGER bouquets and elaborate arbours are proof that loved-up couples are spending more to get married on the Southern Downs with the industry now a major economic contributor to the region. 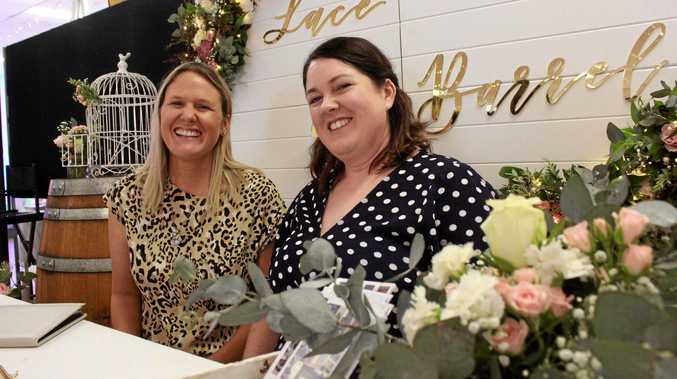 Weddings and Events Warwick owner Peta Murphy said romance had become an unsung hero of the regional economy with wedding-related business on the Southern Downs booming in recent years. Strolling around the Warwick Wedding Expo on Sunday, the proof was in the pudding. 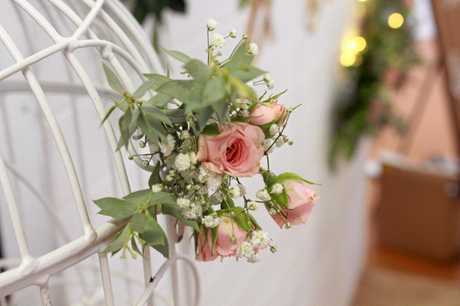 The annual event has grown exponentially to include more marriage celebrants, venues, stylists, florists and photographers than the region has ever seen. Mrs Murphy said the increased availability of services and speciality items meant people were spending more on their wedding day. "Couples definitely splash out and there is more on offer now that they add into their budget,” she said. Over the past year, she's noticed a marked trend towards more extravagant flower arrangements, decorations and props. "They are definitely not pulling money in,” Mrs Murphy said. 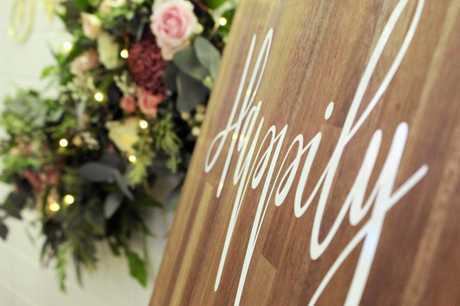 Attempts to estimate the average cost of a wedding in Australia range from $65,000 in Bride to B magazine to the government's Moneysmart website, which puts a $36,000 price tag on tying the knot. 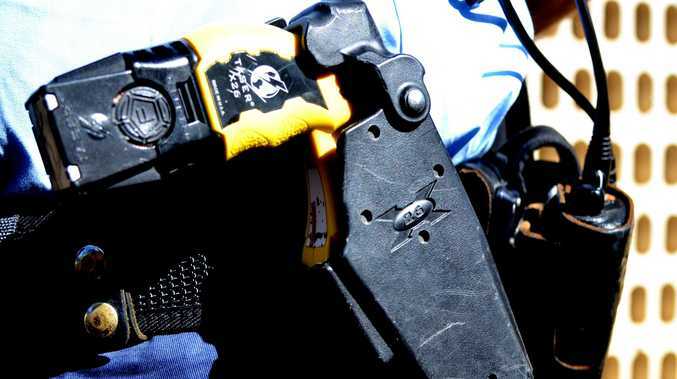 On the Southern Downs, Mrs Murphy said most couples spend about $28,000 or more. Thanks to social media, that figure is increasing. "I think it is because there are so many amazing things and services on offer and people are following stylists on Facebook and seeing what is out there,” she said. What has started to emerge, Mrs Murphy said, was a signature style that revolved around the "country chic” aesthetic. Sisters Jacinta Lax and Mary-Terese Littleboy have mastered the trend since launching their styling business, Lace and Barrel, last year. The party-loving pair turned their passion into a profession after planning Mrs Lax' wedding on her Goomburra farm in 2013. At the time, there was little on offer in terms of props, decorations and designs. "I had to source a lot of things outside the region myself. I started collecting things like wine barrels, old cream cans, vintage suitcases,” she said. The sisters said authenticity and practicality were driving a surge in popularity behind the country chic style. "You can work it to your budget. There are a lot of people now that are trying to bring their wedding to their own property or farm and you can have as little or as much as you like,” Mrs Lax said. Mrs Murphy said Warwick provided simplicity that cities couldn't offer but the service was second-to-none. "There is not the hassle of rushing around, finding a park. People can come and stay the weekend, everything is close and it is more laid back and friendly,” she said.